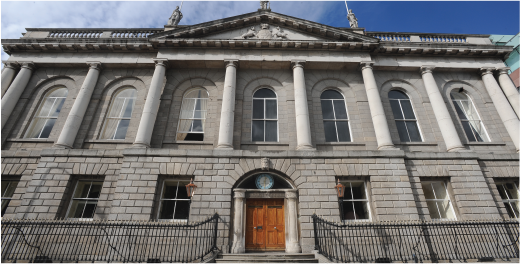 The RCSI is an independent, not-for-profit, health sciences institution with a unique international perspective and presence, headquartered in Dublin and with operations in Bahrain, Malaysia and Dubai. RCSI employs 985 staff provides extensive education and training in the healthcare professions at undergraduate and postgraduate level to circa 3,500 students. Core activities are carried out in its historical home central Dublin Campus on the west side of St Stephen’s Green. Other key academic and research sites located in Ireland are at Reservoir House, Sandyford, RCSI Education and Research Centre (ERC) at Beaumont Hospital, the Academic Centre and Graduate Entry Programme Facility (GEP) at Connolly Hospital, Blanchardstown. Internationally RCSI also has a College in Bahrain employing 109 staff and has staff seconded to other campuses based in Malaysia (Perdana and Penang) and Dubai. RCSI developing healthcare leaders who make a difference worldwide.